William Barret Travis was the commanding officer of the troops who defended the Alamo in 1836. He is best known for drawing a line in the sand and asking the men to cross the line and fight with him for Texas independence. 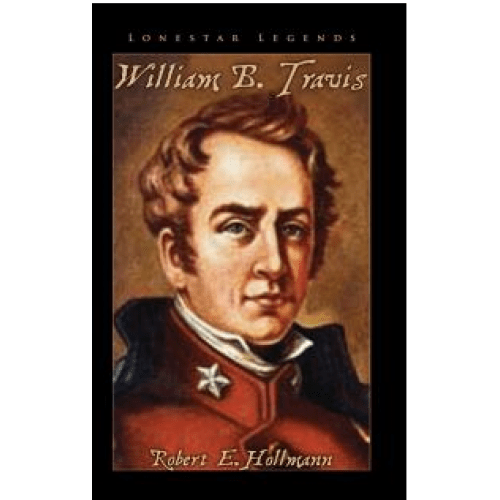 Now you can hear the story of Colonel Travis told by the other members of the famous moment in Texas history, Trusty, the sword that drew the line in the sand. Join Trusty and Colonel Travis as they come to Texas and become involved in the exciting events leading to the Texas Revolution. Ride with them to San Antonio as they join the small band of brave men defending a run down old mission called The Alamo from the attacks of Santa Anna's army. Fight with them during the final assault when the men of the Alamo passed from history into legend. This is the fifth in a series of Lonestar Legends on Texas Heroes for children. Other books include, Davy Crockett, Jim Bowie, Juan Seguin, Susannah DIckinson, and The Alamo.